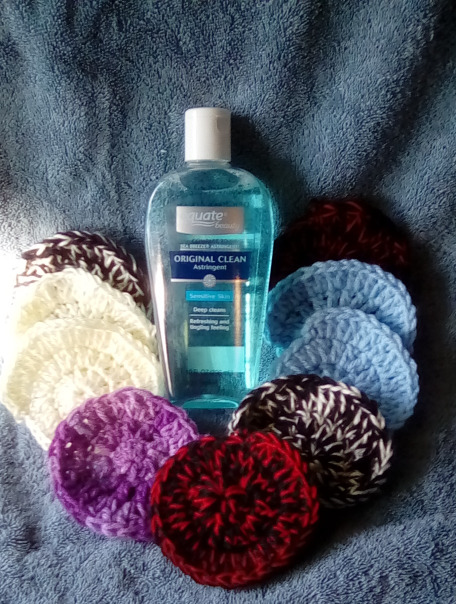 Home » Sabby'sCreations' booth » Sea Breeeze Astringent and 20 Assorted Random Mix Crochet Scrubbers. 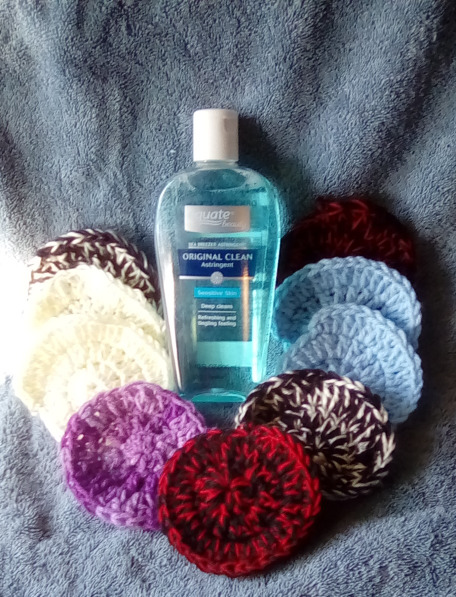 Sea Breeeze Astringent or Clean Clear Astringent 20 Assorted Random Mix Crochet Scrubbers-Coasters-Free Shipping. These small face scrubbers made with Simply Soft Yarn or Red Heart Yarn. Each scrubbers measures 3 1/2 inches across or more. They are easy on the skin, but still able to scrub tough dirt away! 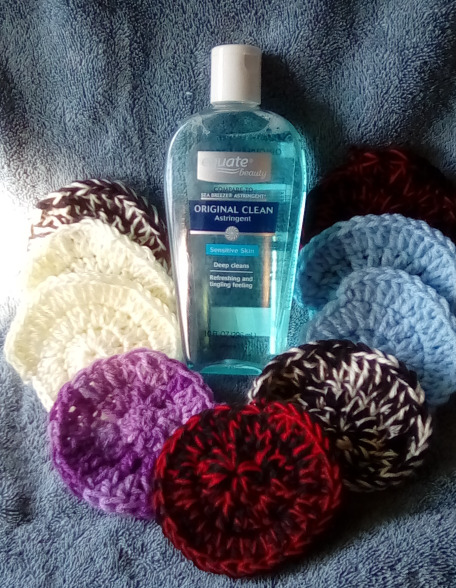 Use them to wash your face with cleansers, or apply toner or lotion! Use them for the Bathroom,House Cleansing,Coaster ,Ear Warmers and more. Just throw these in the washer, and reuse over and over again! Buy it for yourself or for a loved one as a gift. Great for stocking stuffers. (Machine Wash and Dry) Note: Sea Breeeze Astringent 10FL OZ SHIPPING: Your item will be Ship in a Priority Mail box. Orders are sent via USPS First Class with Delivery Confirmation/ Tracking #. The Delivery Confirmation/Tracking is INCLUDED in shipping cost. (You will have you package about 2 to 3 Business Days in the US.) Thank you for looking! !